This example illustrates the use of view_as_blocks from skimage.util(). Block views can be incredibly useful when one wants to perform local operations on non-overlapping image patches. We use astronaut from skimage.data and virtually ‘slice’ it into square blocks. Then, on each block, we either pool the mean, the max or the median value of that block. 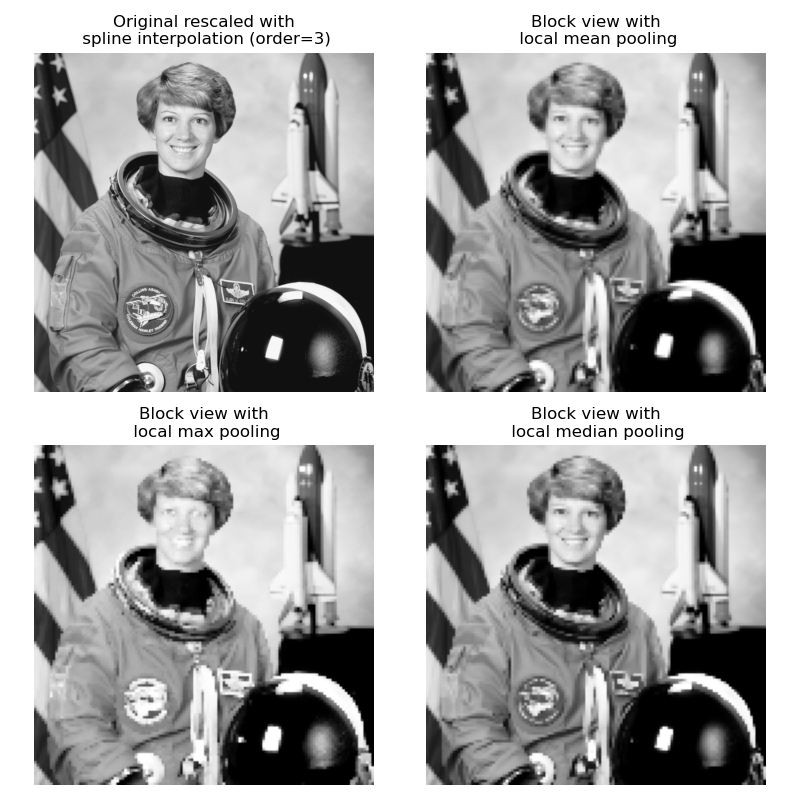 The results are displayed altogether, along with a spline interpolation of order 3 rescaling of the original astronaut image. # the `max` or the `median` value of each blocks.